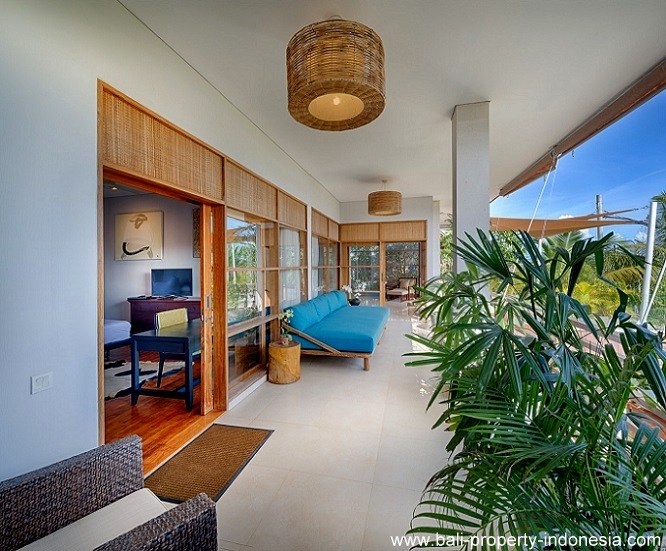 Berawa villa for sale with 4 bedrooms, close to the beach. Location, location, location. 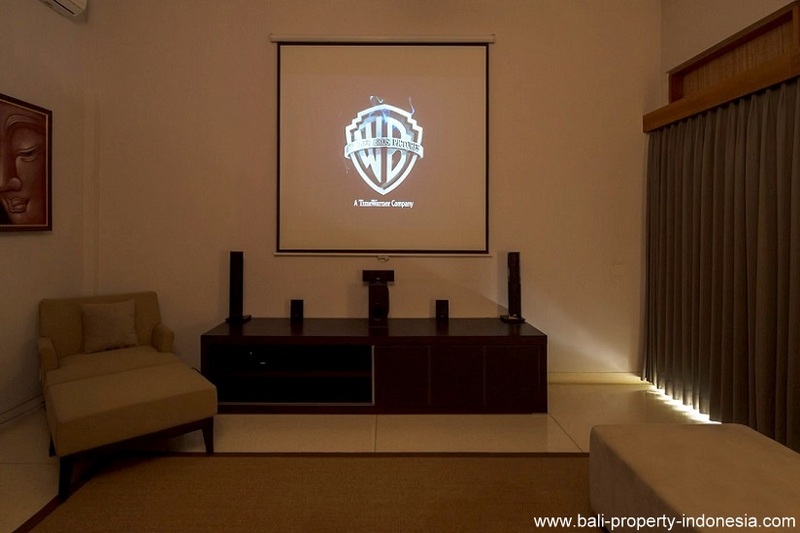 It is not only the name of a TV program but it is also the most essential when you intend to buy a villa. 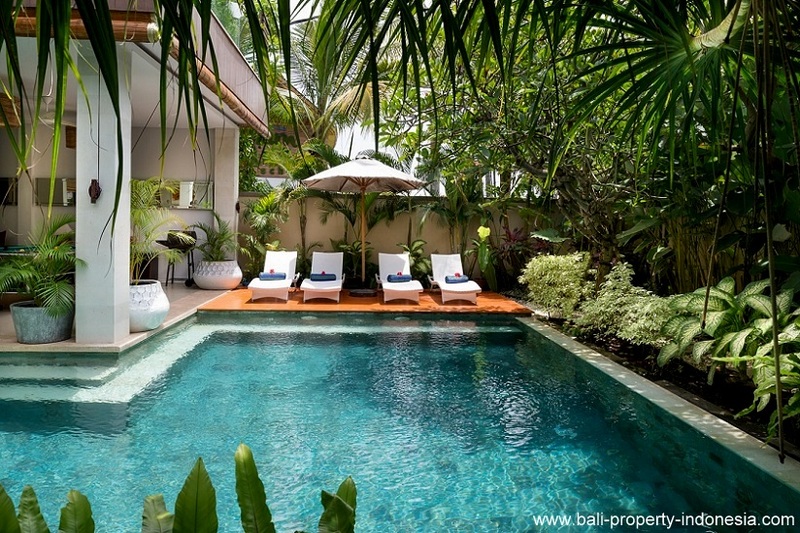 This villa has been built on a prime location.... just about 15 minutes walking from the beach in Berawa. 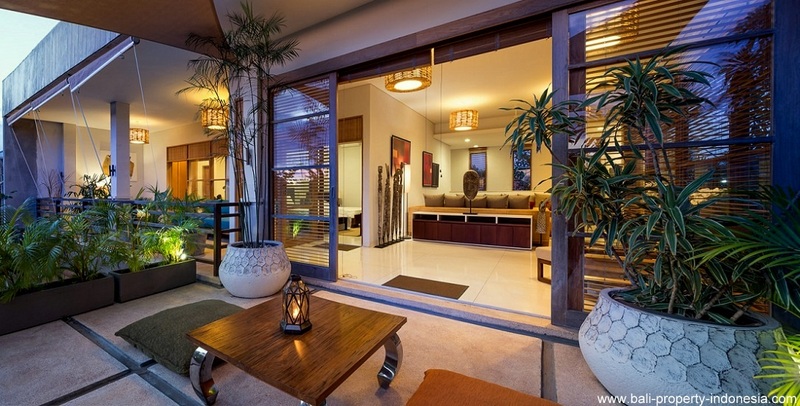 This Berawa modern luxurious villa is having 2 floors. The huge open living area is the eye-catcher on the ground floor. 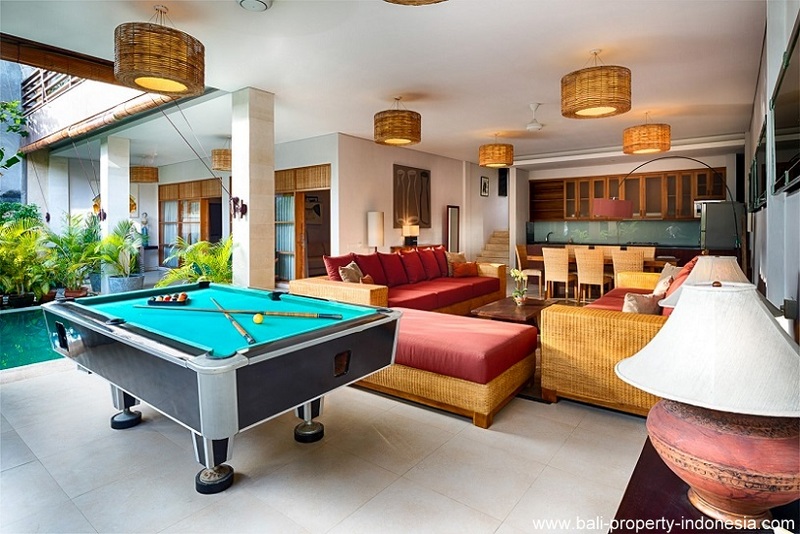 A large living room which is directly connected to the swimming pool. In the back of the living area you will find the western styled kitchen. 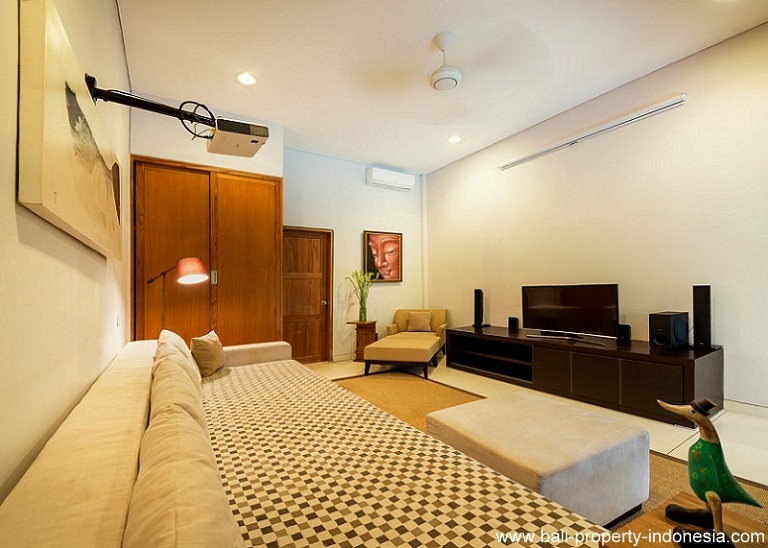 Next to the living area you will find 2 bedrooms. Each room is having its own en-suite bathroom. One of these rooms is currently in use as an entertainment room with a large cinema screen in it. Next to the kitchen are the stairs leading to the first floor. 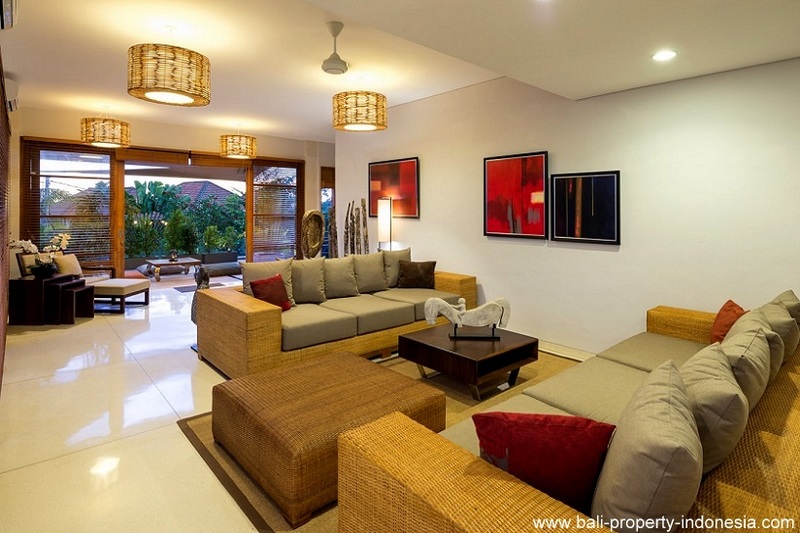 Coming on the first floor, you will directly enter again a large spacious living area. In front of this living area you will have a roof top terrace from where you can overlook the green surroundings. A wide balcony is connecting the living room with 2 more bedrooms. Also these rooms are having their own en-suite bathroom. 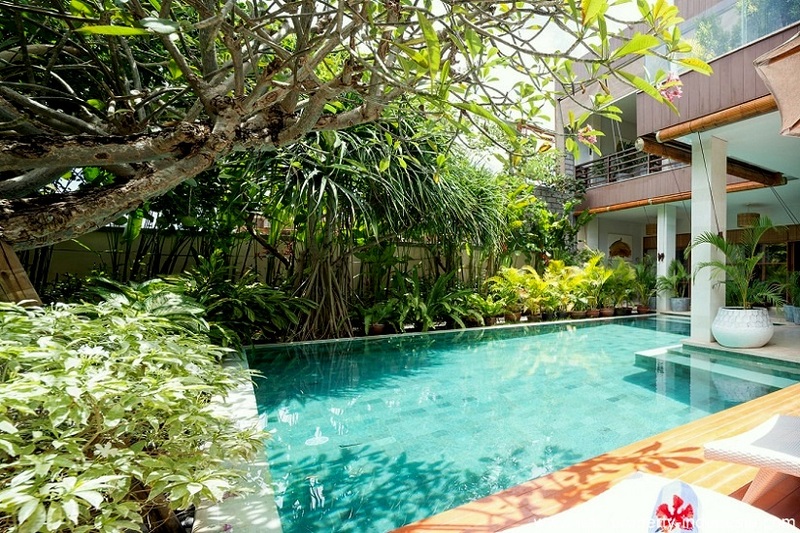 In the garden you see a large swimming pool. 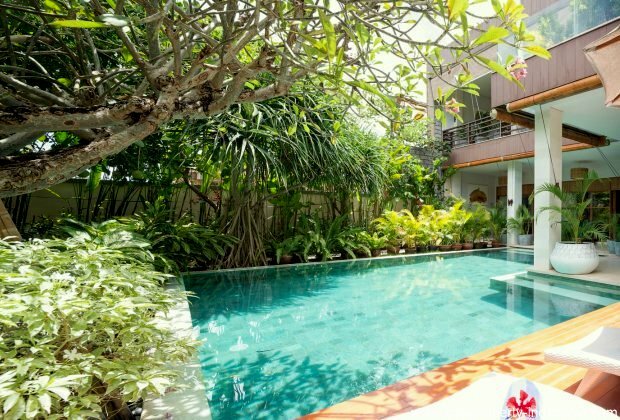 A pool deck with sun beds is welcoming you. The garden is surrounded by green tropical plants. The villa has a carport for your car and a security post is located next to it. 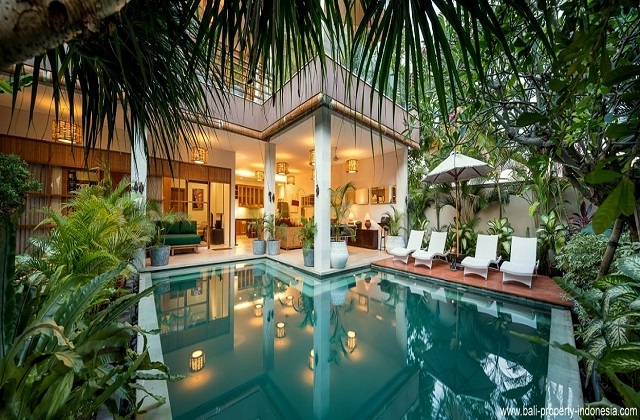 The villa is located in Berawa. The new popular Finns Beachclub can be reached in about 20 minutes walking. Nearby you will find an international school. 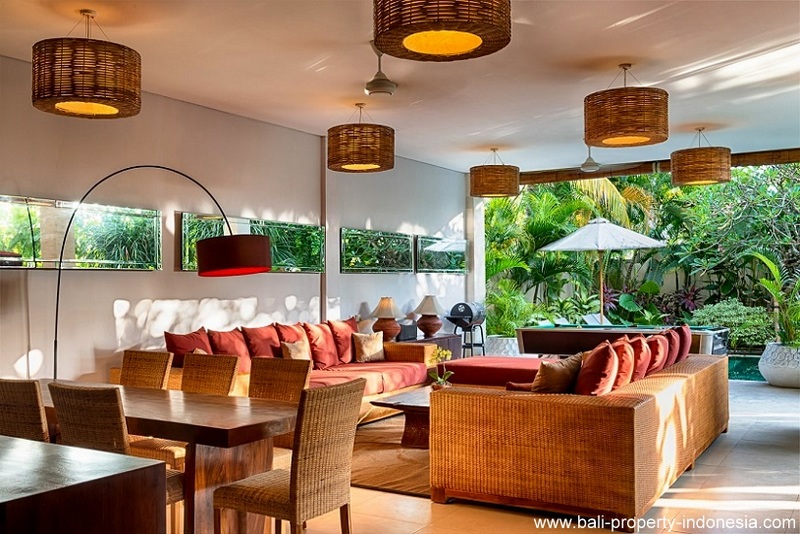 The surfspots from Echobeach and Batu Bolong can be reached in about a 10 minute drive by motor from the villa. A shortcut will lead to this upcoming area. 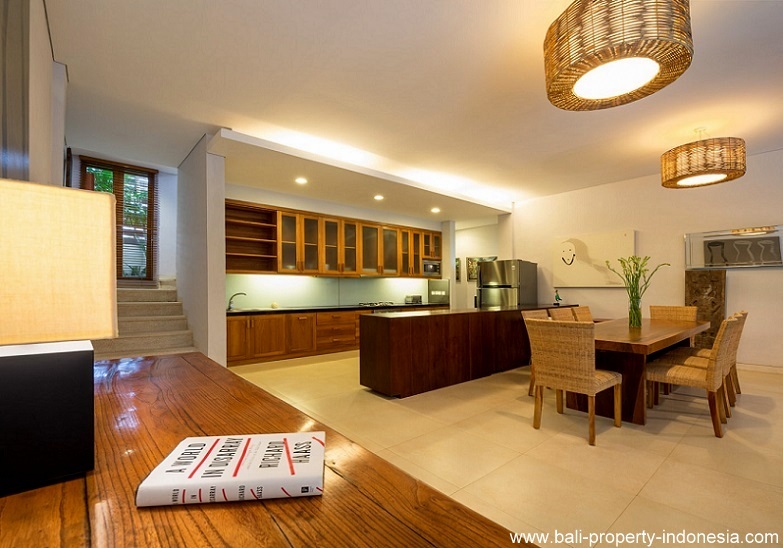 This Berawa villa comes with a leasehold title which is ending in 2038. An option to extend the lease with 21 more years is available.